Rebecca Chesmore's role as a Client Relationship Specialist encompasses a variety of responsibilities at Generational Wealth Advisors. In addition to fielding questions from our clients, Rebecca also supports account administration, IT- and network-related issues and is a part of our support team for our digital investment tool, Portfolio.Expert. Her diverse skill set, attentiveness and attention to detail, enables Beccas to not only resolve client questions but also manage these important firm initiatives. 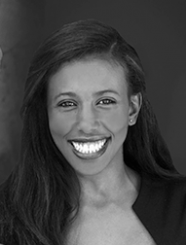 In her native home of Ethiopia, Rebecca studied mathematics at Mekelle University. She will continue her studies of mathematics as well as in programming and finance and hopes to continue excelling in the finance industry in a fintech role. Rebecca has experience in customer relations through previous roles at Los Angeles International Airport and AT&T Wireless in Plano. In her free time, she enjoys dancing, exercising, and continuing to practice programming and math.